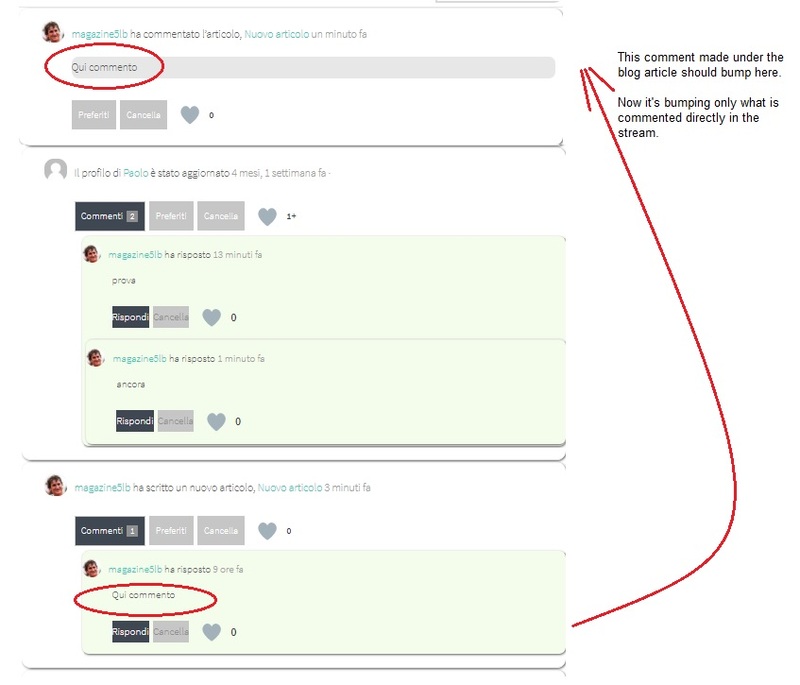 When a user adds a comment to an activity below the page, the activity stream shows that person comment as a single activity at the top of the page. To improve this, when a user adds a comment to an existing activity below the page, the entire activity with the new comment should move to the top of the page. It’s kind of hard to explain. Hopefully this picture will help. there is a plugin called “BuddyPress Activity Stream Bump to Top”. I use it and does exactly that. I do not know if that still works. But I have found a working alternative. Thanks a bunch, Gunu. It works. I also added this CSS to hide the repeated activity comment. This is working well on the activity stream, but it’s not working if the comment is published in the blog post. The activity in the stream is updated with the new comment, but it’s not bumping up. Is there a way to make it working with it too? Actually this is what is doing the code linked by Gunu, nothing more. Is there a way to custom that code in order to make bump the whole discussion when somebody is commenting under the blog article?